Founded in 1874, Rose-Hulman Institute of Technology offers a rigorous, hands-on education that stresses development of technical and interpersonal skills in an environment characterized by close personal attention for every student. The college, located in Terre Haute, Ind., has an enrollment of 2,000 undergraduate students and 100 graduate students. For 17 consecutive years, US News and World Report has ranked Rose-Hulman as the number-one engineering college in the nation among schools whose highest engineering degree offered is a master’s. The ranking is based on a national survey of deans and senior faculty conducted by the publication for its college guidebook. Rose-Hulman’s emphasis on undergraduate education has also been recognized by The Princeton Review, which cited six of the Institute’s professors for this year’s Best 300 Professors book. 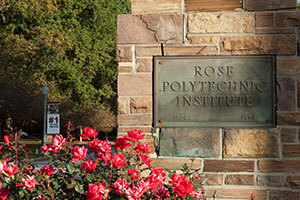 Learn more about Rose-Hulman at www.rose-hulman.edu. Shelby County offers a strategic location 25 miles southeast of Indianapolis on I-74 with direct interstate access to Cincinnati and Louisville. It has a business friendly atmosphere with one of the nation’s lowest operating costs. Shelbyville is home to Intelliplex Certified Technology Park and Major Health Partners, a Top 100 Hospital. A growing higher education presence with Ivy Tech, Indiana Wesleyan, and Rose-Hulman Institute of Technology have resulted in a well trained and highly qualified workforce. The Shelby County Development Corporation (www.shelbydevelopment.com) is a non-profit organization committed to working together with community and business leaders to create a development strategy that meets the needs of individual communities across Shelby County. Shelbyville is a growing community of over 19,000. It has maintained a friendly “small town” atmosphere, complete with a charming historic district full of locally owned shops, dining and entertainment, while welcoming economic growth.